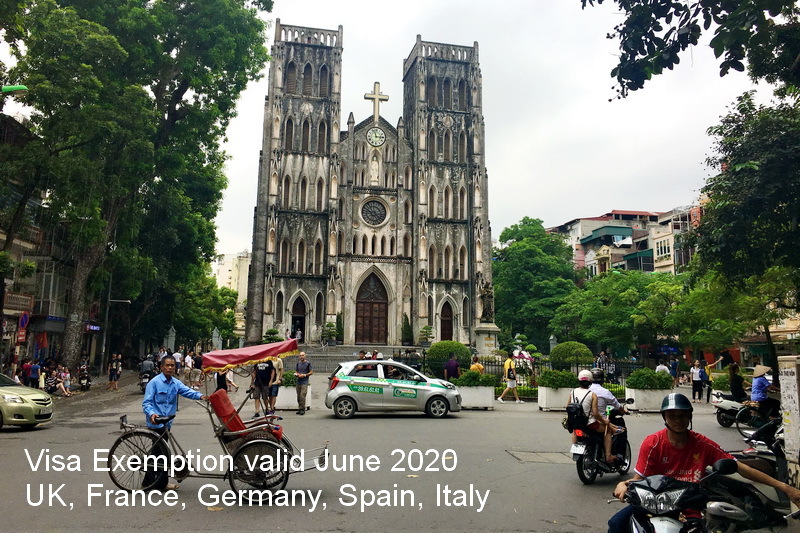 Vietnam continue to renew visa exemption for 3 year period from 01 July 2018 - 30 June 2020 for 5 Western European countries including UK, France, Germany, Spain and Italy. The decision approved by Prime Minister Nguyen Xuan Phuc at a regular Government meeting on 3 May, 2018. At the moment the period stay for these countries passport holder still 15 days and on any return must be 30 days after departure date. The Government is considering to expend the length of stay to 30 days for these countries and others. In 2015 Vietnam welcomes 720.000 Western European tourists, 2016 was 855.000 and 2017 was 1.5 million. With this visa extension we assure that will ease for more visitors travel to Vietnam in coming years.